A fantastic site teaching you all about adjectives and how to use them. What are adjectives? 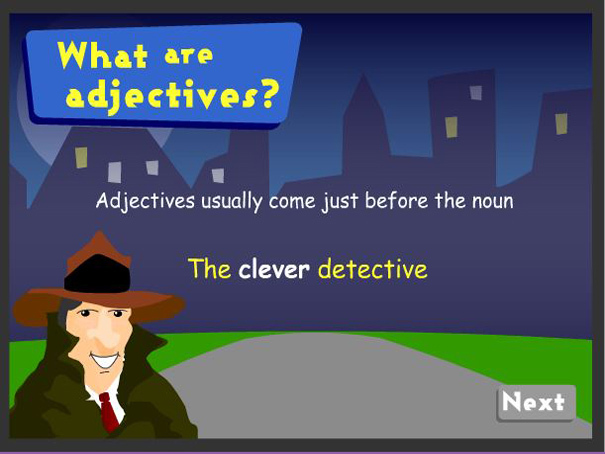 Each different type of adjective is explained and lots of examples are given. There is a small quiz at the end of each section, as well as 2 general quizzes at the end to test your understanding of all the different types of adjectives.